Welcome to Your Jeep.com - Your Jeep - Outfit your Jeep for less! Welcome to Your Jeep.com - the place to outfit your Jeep for less. 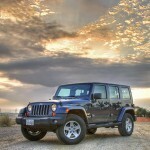 We offer Jeep lift kits, body armor, soft tops, and more. Just take a look at our list to the right to find the parts you want.